Once you have gum diseases, it can spread in your mouth and cause all the more problems for you. This is why taking care of gums is so important. If the problem does occur, there are chances it can be treated with home remedies. 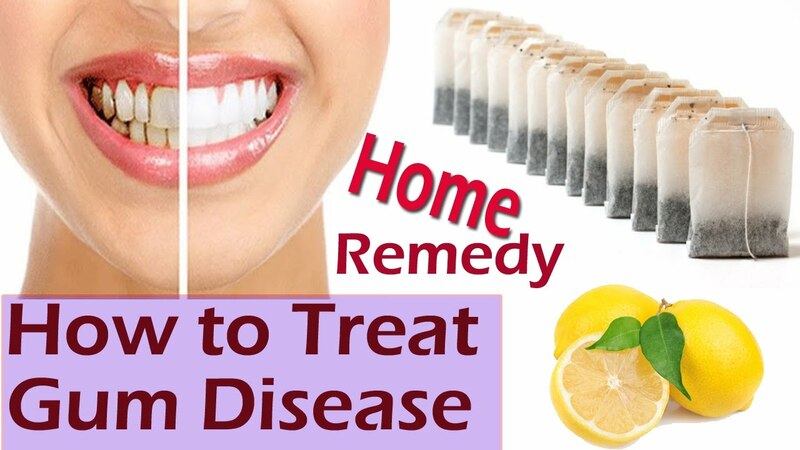 Consult your dentist once and see if the treatment is possible at home itself. There are many products that you can find at home and use them to strengthen your teeth and protect your gum from all sorts of bacteria attacks. Also, it is essential to treat plaque before it becomes tartar. The very first thing that you can do to protect your teeth from any sort of damage is to increase the frequency and the duration of brushing and flossing. If you do not use a mouthwash, then maybe it is time to add it to your dental routine. Before you start working on those home remedies, it is important that you visit a dental clinic and get a proper dental check-up and also discuss the pros and cons of the remedies that you are considering to follow in order to improve your dental health. Mix hydrogen peroxide with water and make a liquid solution. Rinse your mouth with the solution for some time and spit it out. Use it to gargle your mouth few times a week and you will notice a huge difference in your teeth and your gums. Another way to use hydrogen peroxide in the mouth is by mixing it with baking soda. Take both of them in small quantity and make a paste. Brush your teeth with the paste before brushing your teeth with normal tooth brush to get good results. Aloe Vera has anti- inflammatory properties which helps us during gum disease. Since it is antimicrobial, it also helps in killing the harmful bacteria. It can also be used to treat mouth ulcers. Massage the aloe Vera gel on your gums and leave it for twenty minutes before you rinse it off. Do the same three four times a day for better results. Cranberries are rich in Vitamin C which makes them a good food for your teeth and gums. People who have low vitamin C in their body are often found to suffer from periodontal disease. Have two tablespoons of cranberry juice daily to stop the bacteria from attacking your teeth. Coconut oil pulling is said to strengthen teeth and gums, reduce plaque and also relieve people of bad breath. Swish one tablespoon of coconut oil in your mouth for few minutes and then spit it. Rinse your mouth with water. Do this process for fifteen minutes daily for at least a month and see the difference in your gums. These are some simple tips that you can follow if you want your tooth and gums to be healthy and fight decay and gum diseases without any treatment.